Ok, this may seem like just a simple little recipe, but hands down it is my biggest held secret recipe! I have many people tell me I should sell it! I make this as a "gift from the kitchen" for my friends and on the label, it says to bring their empty jar back and I'll refill it. AND THEY DO! all the time! I have family members request for me to ship it to them every year for Christmas. 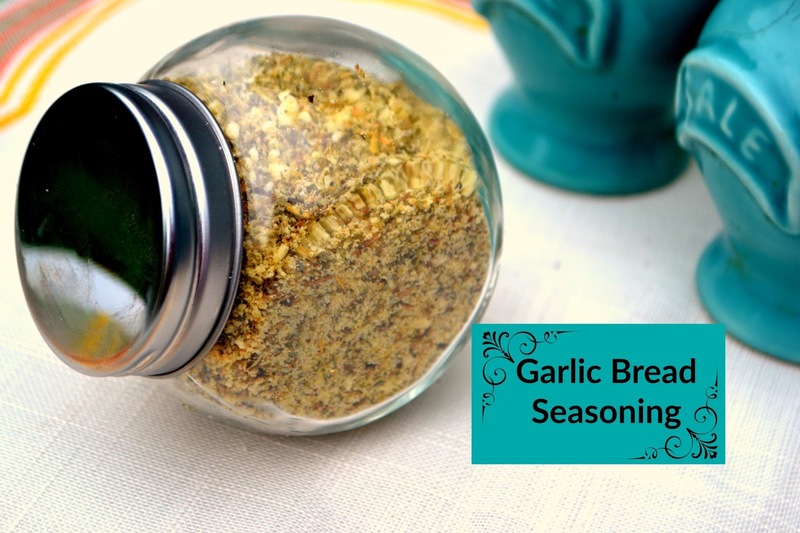 This is not just for garlic bread folks! It is delish on everything. My son uses it on every sandwich he makes (ok maybe not peanut butter) My little nephew uses it more than ketchup! He sprinkles this on all his food, I can not keep him stocked enough, so I had to give the recipe away to my sister in law. It is good on chicken, pasta, pizza, sandwiches, and on and on. 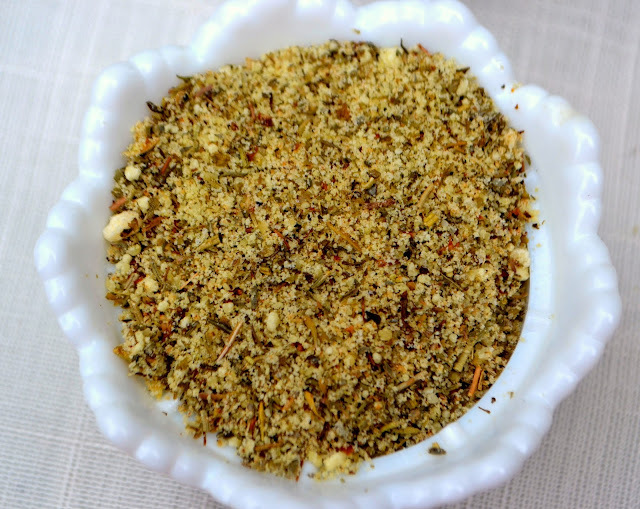 In fact I use it so much I've had a hard time writing up some recipes on this very blog and still keep it a secret recipe! I have tweaked and worked on this recipe for several years at least till my family thought it was just right. I urge you to make it, and then give little jars of it as gifts. You will soon find yourself just making a whole big grated parmesan container full of it, I promise you'll go through it faster than you think! The cheese: It's the kind in the container with the green lid you shake on your pizza's. 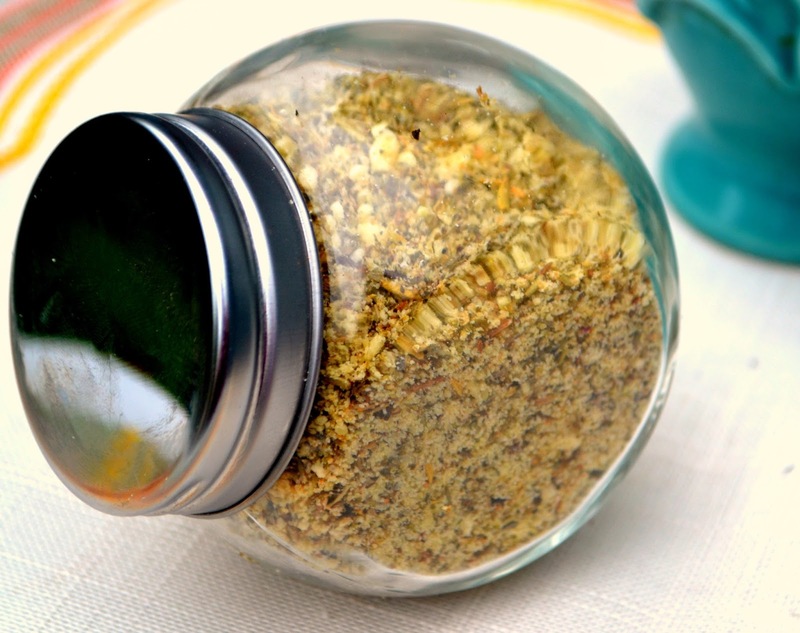 It's easier just to buy the preblended Italian Seasoning, but yes, you can play around with the oregano, basil, etc. individually if you'd like. I have no idea how much of each though. No, you do not need to refrigerate it. It may last longer if you do, but it never sticks around my house enough to have this issue! Bread Sticks: sprinkle on top of bread stick dough prior to baking. soft, buttery style: place both halves back together, wrap loaf in foil and heat in 375° oven 10 minutes or so till butter is melted. Remove from heat, open foil and slice before serving. toasty version: Turn oven to broil. place both halves of seasoned bread onto a cookie sheet and bake open face style under a broiler for approx. 2 minutes until golden brown and toasty. Yum! That is nice that you don't have to refrigerate it, despite it having Parmesan cheese in it. Sounds so good- I want to eat more garlic this year (I've planted a lot)! Have a great New Year! What a great idea!! I love garlic bread. I'm going to have to try this. Thanks for the recipe! Thanks for sharing! My brother-in-law was just showing me some "garlic finishing butter" (I think that's what it said) that he got from a local grocery store. He said it was delicious on fish. I looked at the ingredients (at least what I could read . . .) and the cheese was pecorino romano, which is our favorite cheese. I may try it in your recipe. I can't wait to try this. 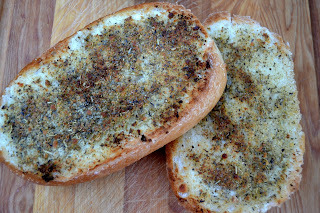 We love garlic bread and this would be great to keep on hand!